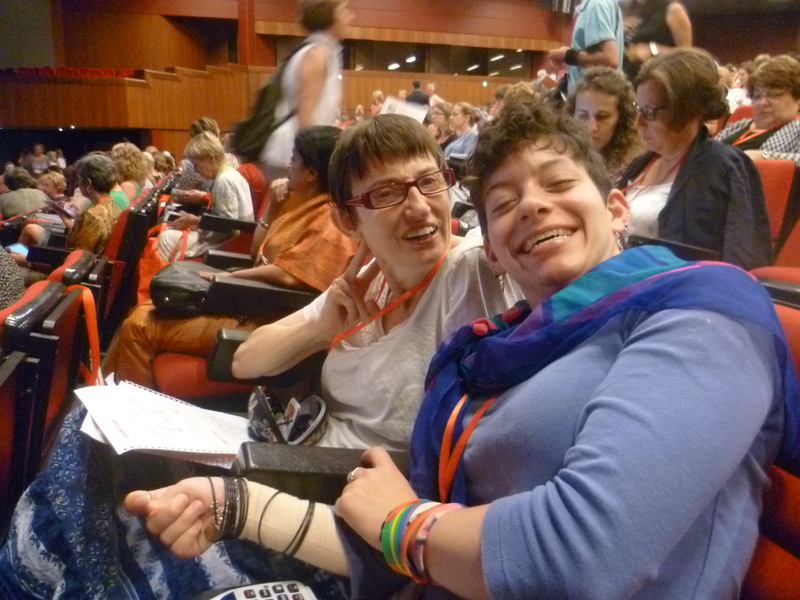 Mel Smith was one of the scholarship recipients supported by ISAAC Australia to attend this year’s conference in Lisbon. 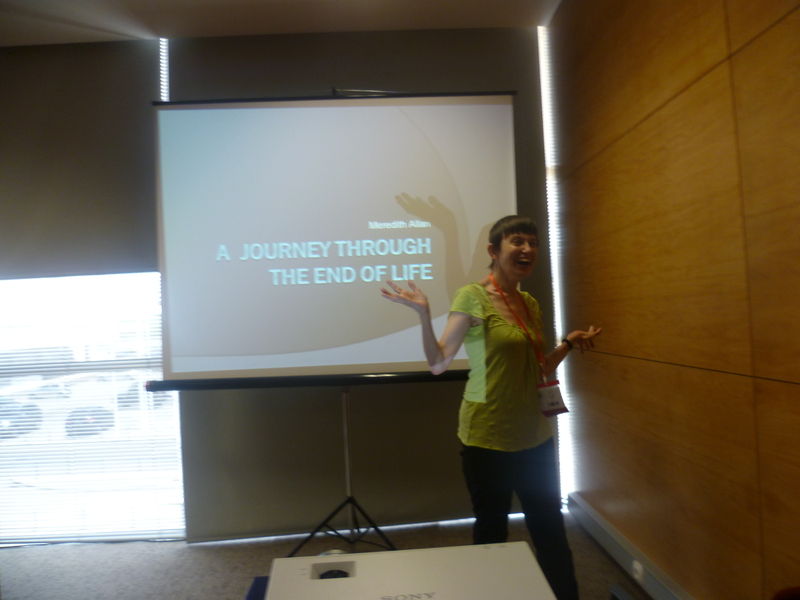 Here are her impressions of the conference. ISAAC 2014 – Lisbon Portugal. Thanks ISAAC Australia for the scholarship, I was able to attend the conference in Lisbon, Portugal. I always love to travel and experience other countries, though it is particularly good when you get to reunite with friends, colleagues and other interesting beings, you know from previous conferences. The atmosphere is magical and emotions begin to stir when I start spotting the people I realize are there. 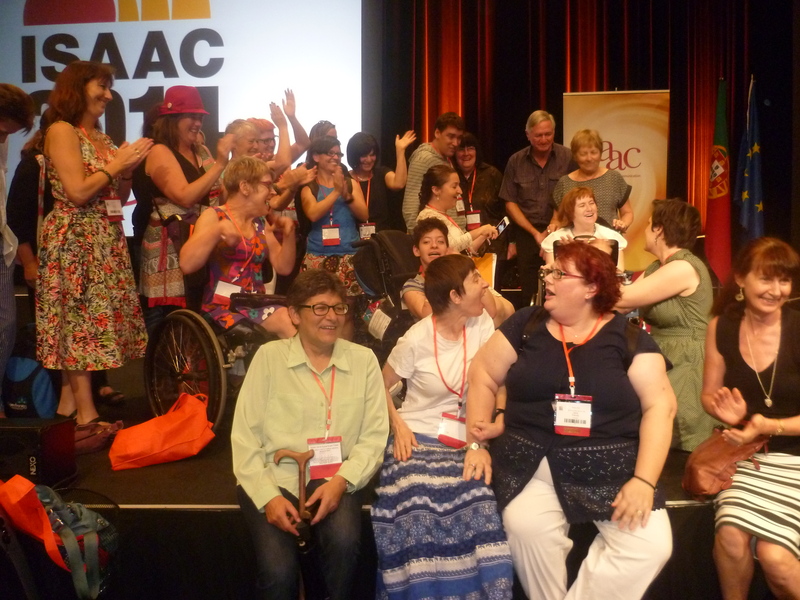 As much as I love going to different presentations and hearing about the many projects that are happening, to enhance on the lives of those of us who use AAC – I also love to hang out at the trade displays and the meeting foyer where the coffee brews, the time for trivial talk is just as important to me. It was fabulous to present my paper around my mentor research project, and to hear about other mentor projects in schools and community groups. 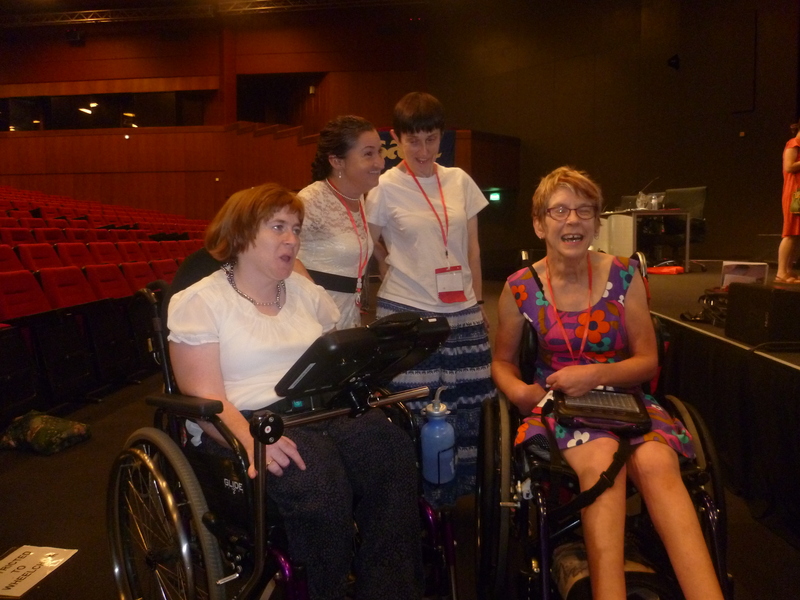 Some of my highlights were, the presentation from India, about the support and mentorship they have developed for young people who use AAC and living with Cerebral Palsy… I still remember the video they showed on role playing as a form of practicing their interaction skills, to face in the community – very powerful. 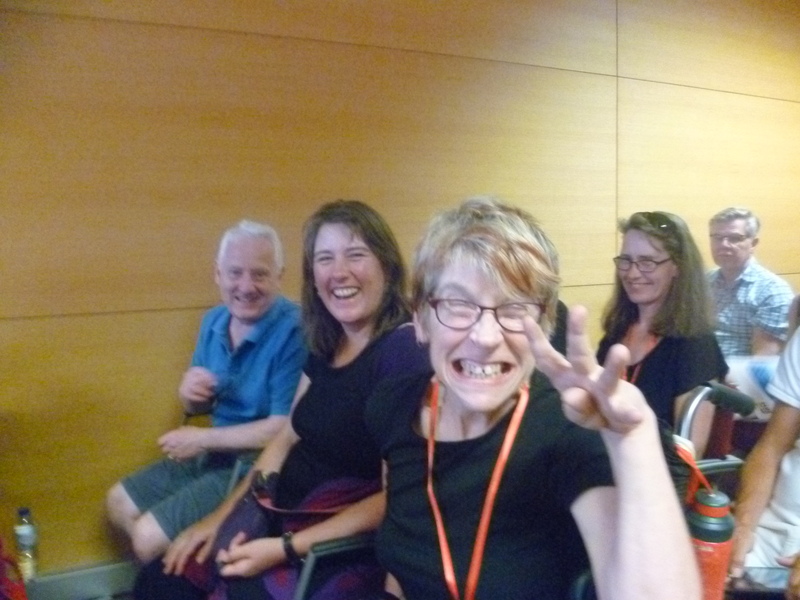 My other being, talking with young people about the concern for limited reading skills which led to wanting to start online bookclubs, as a way to motivate and inspire reading with the support of other AAC users, within a supportive timeframe and interest. Since the conference in July this has started, and has most definitely encouraged interaction and a social aspect purpose. So the conference was busy in various ways, though there were still some nice moments of social events, traditional Portugese dance lessons and singing along to playlist while the buses took us to the next sight see. 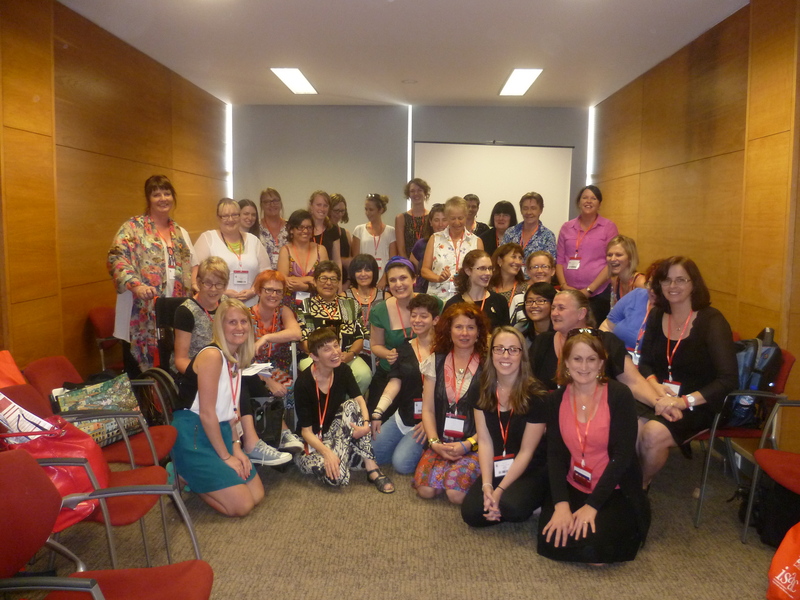 Getting around Lisbon was a challenge on wheels and the access in general was somewhat disappointing, but it has encouraged me to do more research in future to ensure I travel with a bag of brilliant resources. 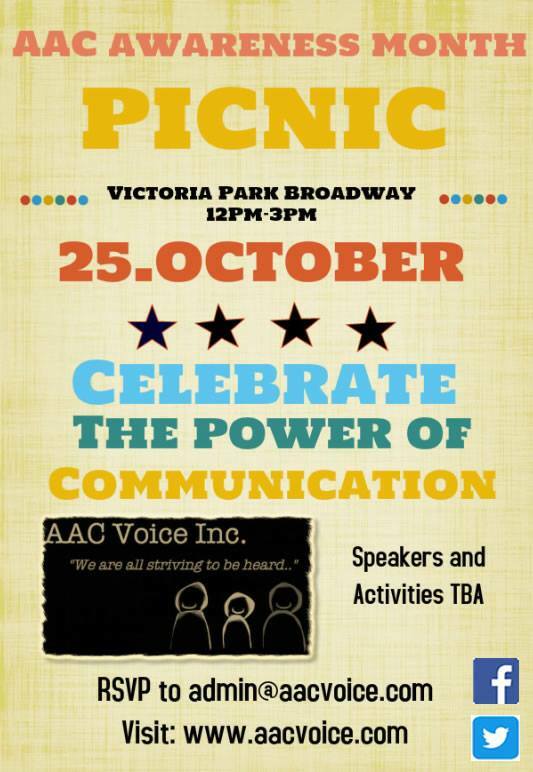 Celebrate AAC awareness month with the AAC Voice picnic!